This was the first of four locks patented by Yale Jun'r whilst he worked in his father's Lock Shop behind the family home at North Main Street, Newport, N.Y. After his father's death in 1857 he closed the Lock Shop and moved to Philadelphia Pa., where he started making locks on his own account trading as L. Yale, Jr. Co.
Until he died on Christmas Day in 1868 Yale's major efforts were concentrated on the design and manufacture of high quality bank locks. However in 1865 he made one of the most important lock inventions for worldwide general use, the mortise cylinder lock. 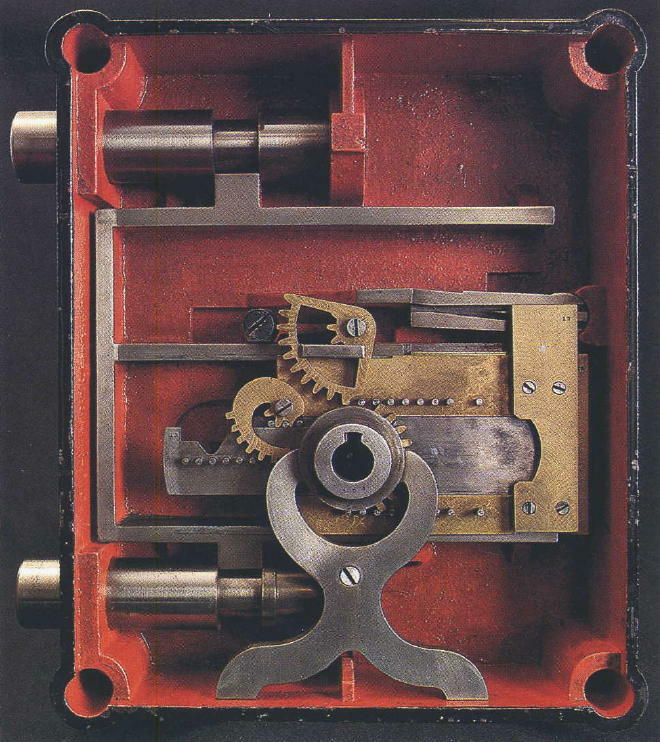 Yale produced three different types of his Magic Infallible Bank Lock, the first two with round changeable bit keys. The third soon followed with a major change in the key to accept a more complex lever system. Their sizes were: "No. 1, eight levers with rolling bolts; No. 2, six levers; and No. 3, five tumblers with square bolts". 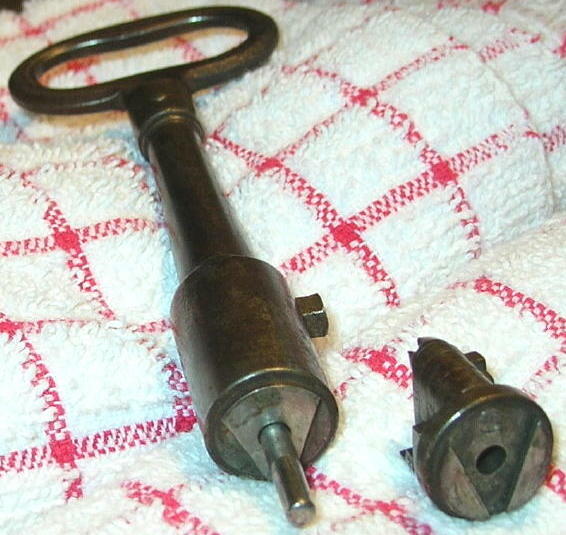 The key bits were no longer round and each of them were made to have two different numbered bits by simply undoing the fixing screw and using the reverse side. Here, the bit end of the key with the five numbered bits that could be reversed by removing the fixing screw. 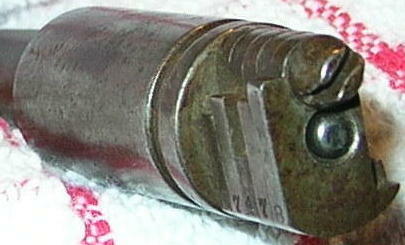 It is attached to the key shaft by a dovetail and spring dowel as shown in the photograph below. The key is stamped on the bow "Yale Jun'r, Patent May 6. 1851" on the reverse number "257". This detachable set of bits ('pod') is fixed to the key shaft by a dovetail joint and sprung dowel pin that can be seen above. When the key is pressed into the lock to open the bolts, its sliding drill pin pushes back the key's dowel pin up to the dovetail joint. That allows the pod to be detached from the shaft by the lock's driving mechanism when the key is turned, and travel away from the keyhole to engage with the levers. When the bolts are closed the pod is returned and reattaches itself to the key shaft – all by magic! 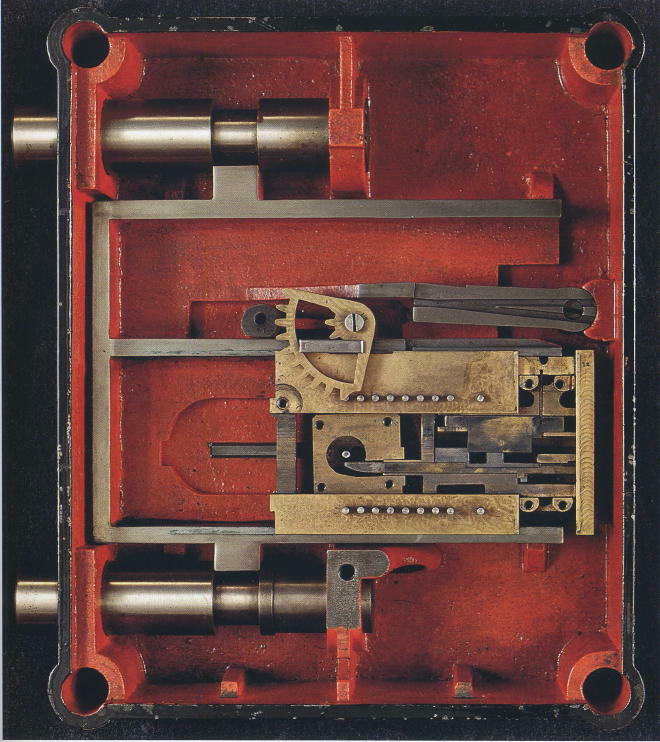 My grateful thanks are owed to John Erroll, co-author with his son David of the book "American Genius", for allowing me to reproduce the above photographs of this fine lock from the book. Similar appreciative thanks are also due to Jim Mairs of the publishers, The Quantuck Lane Press for letting me display the lock photographs. Tony Beck © 2007.